EuroMillions is the biggest loterry of the United Kingdom and als Europe. 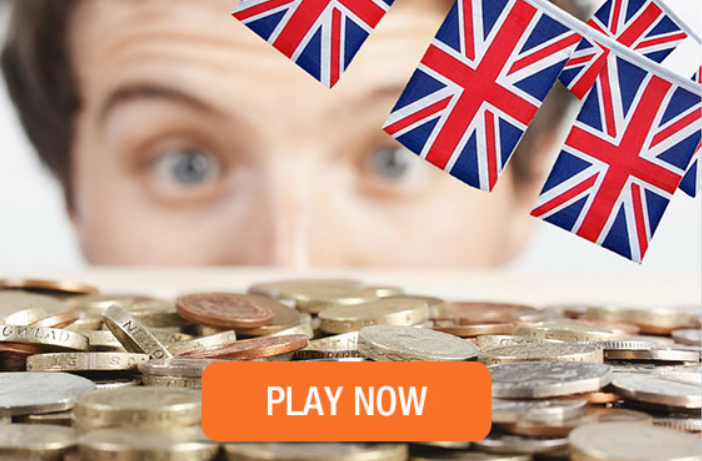 Every week thousands of players look forward to the UK EuroMillions lottery. It’s one of the most well-known lotteries in Europe and got even more famous last year. The Jackpots and excitement are bigger than ever! How do you participate in the EuroMillions lottery? The EuroMillions lottery is played in several European countries. Although the games are separate, there is a prize pool for all participating countries. EuroMillions gains a lot of revenue by selling thousands of tickets. In total 50 percent of the total sales is paid out in prizes for the winners. A percentage is also put in a special fund for Jackpots in the future. You can purchase a EuroMillions lottery ticket online or at a retailer. Choose your own 5 numbers out of a 1-50 range. Also pick 2 Lucky Stars out of the numbers 1 to 12. It gives you an extra chance to win money. You probably like to know what prizes you can win. Check the follow schedule. Hopefully luck is at your side! Numbers on your ticket that need to match What do you win? Some European countries provide extra options to win money, and the United Kingdom is a good example of that. Thanks to the British organization ‘Camelot’ you can win money in the European Millionaire Maker. The guaranteed prizes of 1 million euros attract a lot of players. Obviously it’s not very easy to become a millionaire. You need to have a lot of luck, because all the letters and the numbers need to watch with those that appear during the draw for the European Millionaire Maker. The UK Millionaire Maker Draw always has two guaranteed winners. Perhaps you’ll be one of them in the near future! Sometimes there are so many prizes won that the Millionaire Maker winner doesn’t receive the exact amount of 1 million pounds, but less. In that case the Camelot organization pays an additional amount so that eventually 1 million pounds will be added to the bank account of the lucky winner. These circumstances could lead to a temporary stop of the EuroMillions and European Millionaire maker draws. The draw continues when the problem is resolved. You’ve probably seen that less correct numbers mean smaller prizes. For example, if you have only 3 main numbers you win 9 pounds, whereas a prize of 7,60 pounds is given to you with 1 main number and two Lucky Stars. 6 pounds and 3,30 pounds are won when you have 2 main numbers and 1 Lucky Star of 2 main numbers, respectively. Perhaps you win no cash, but other great prizes. These prizes are usually won in special UK Millionaire Maker draws. It often organizes ‘Mega Fridays’ and ‘Mega Tuesdays’. In these super raffles you can win a stay in a luxurious hotel, for example. The 5 star accommodations definitely breathe a millionaire vibe! The details of the prizes are usually advertised before the draw. You can also read about special draws in the so-called ‘Game Specific Rules’ on the website of the National Lottery. The expected ticket sales play an important part in the calculation of the exact odds of winning. For example, the winning chances during the EuroMillionss base draw are based on the expected sales of 3,8 million UK Millionaire Matchmaker tickets. At the base draw during Friday, the expected sales are 5,9 million, whereas at the 4th Rollovers on Tuesday and Friday respectively 4,5 million and 6,8 million UK Millionaire Matchmaker tickets are expected to be sold. No one knows what the exact prize money is going to be before the draw. This depends on the number of tickets that have been sold and how many tickets have matching numbers. Some European countries use a different currency. This is important to know as well. Because of this the exchange rate and the exact prize money is different every week. Usually 2,20 euros is about 1,65 pounds. The number of winners is another factor to determine the exact amount of prize money. Sometimes there are more winners than expect in a certain prize category. As a result, the winning money could be lower than in a lower prize category. Besides that, there’s not always a Jackpot hit (we wish). Without a winner, a part of the Jackpot money rolls down to the winners in the next prize category. Don’t forget to put your television on every Tuesday and Friday evening. On these days the EuroMillions draw takes place. It’s a big event that attracts a lot of people. They’re amazed by the huge EuroMillions Jackpots. 1 million pounds, which is currently 1,1 million euros, in the UK Lottery is no exception. The maximum Jackpot can be 167 million pounds, which is about 190 million euros. If there hasn’t been a hit for four times, additional money above 190 million euros will be rolled down to the next tier with winners, for example the one with 5 main numbers and 1 Lucky Star. Don’t be sad if you haven’t won money. EuroMillions has some other great prizes too, including a luxury stay in a world class hotel. Even though you’re not a millionaire, the luxurious hotels absolutely give you a VIP feeling! How to buy a EuroMillions ticket? Becoming a participant in the EuroMillions is really easy. You only have to purchase a cheap ticket of just 2,50 pounds. Decide in which draw you like to play. It’s also possible to participate in every draw during the month. Choose the so-called Direct Debit option to do so. Some people like to share their joy and play together. In that case you need to play in a so-called syndicate. Remember that the ticket sales always close at 7.30 p.m on Tuesday and Friday, right before the draw. Did you forgot to buy a ticket? No problem, because there’s another draw next week. Tickets can be bought again from 9 p.m.
Every player needs to pick five numbers from a range of 1 to 50 and two Lucky Star numbers out of a 1-12 range for his or her ticket. This ticket also includes the UK Millionaire Maker, which gives you an extra chance to win. This option is available all over Europe. Are you going to be the luckiest person on the continent after the next draw?